The first principle of Leave No Trace is to plan ahead and prepare which, when done thoroughly, can help ensure a safe and enjoyable trip into the backcountry that also minimizes your potential to damage sensitive landscapes and ecosystems. When planning for a backcountry adventure, one of the first things most travelers will do is to secure maps and guidebooks. This not only helps get you excited about your trip, but can also help inform you about any regulations or special concerns regarding the areas you plan to visit. At the same time, the information will likely include phone numbers and websites necessary to secure required permits. Often, the anticipation of a backcountry adventure is almost as exciting as the trip itself and a pre-trip map review is a great place to start. Simple notes on the map about mileages and possible campsites are a good way for you to plan and prepare for what’s ahead. Leave No Trace ethics tell us to camp 200 feet from trails and water sources and to camp on durable surfaces. This helps minimize your footprint and how you affect others. And for the more tech savvy backcountry traveler, some pre-trip cross-referencing of a smart phone app with a good old-fashioned paper map may be a prudent to find sites that meet these goals. Staying in the center of the trail, even when it’s wet, helps keep trailside wildflowers vibrant once they bloom later in the year. By planning ahead and preparing, you might choose to hike in boots when it’s wet, or even to delay your trip. Photo by Andrew Geweke. For those with more flexible schedules, you may consider planning your trip to avoid times of high use. And whenever possible, travel in small groups while also being aware of group size limits. Perhaps even seek out the less popular places along a particular trail or in a park or wilderness area. If you’re considering a PCT thru-hike, perhaps consider heading south or flip flop to avoid larger groups. Or, if you’re considering a long PCT section hike and your schedule allows, perhaps take your trip in the fall. Lastly, maybe you’re someone who is able to take a trip during the week rather than on Saturday and Sunday. One of the tenets of the Wilderness Act is to allow for unconfined recreation and we’re fortunate to have the ability to experience some incredible backcountry. That said, being cognizant of limiting impacts on your fellow backcountry visitors and as well as your impact on the place itself is vital. Once you’ve decided where and when you’re going, the planning ahead and preparing usually shifts to your gear and food choices. Most backcountry travelers have adopted the travel light message in some form or another, but it’s important not to do so at the expense of being prepared for extreme weather or emergencies. A shelter, rain gear, and a simple first aid kit along with some basic first aid knowledge can go a long way in helping you manage an unexpected situation. Something that is expected is hunger. And repackaging food before your trip can significantly decrease the amount of trash you’ll have carry out. The details of planning ahead and preparing will certainly vary from trip to trip, but whether you plan on traveling 10 miles or 1,000 miles on the PCT there always will be a certain amount of preparation necessary. 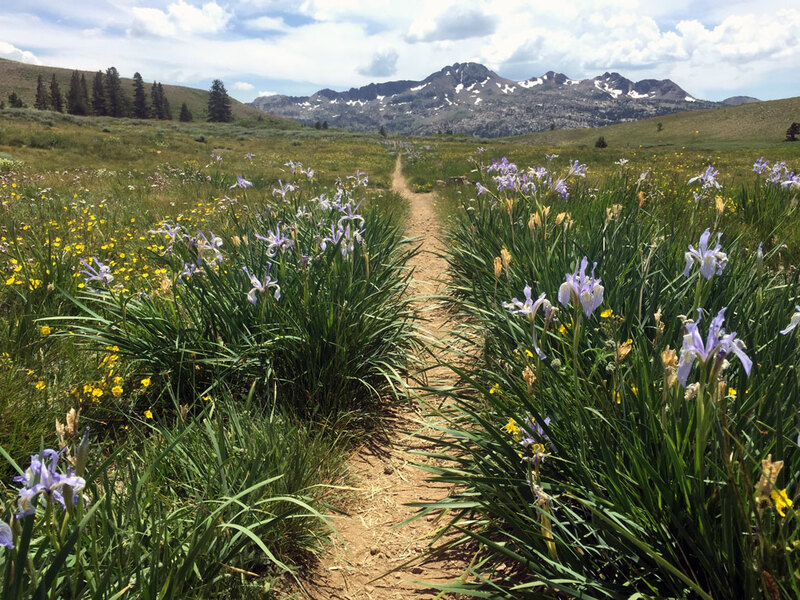 With more people enjoying and discovering the wonders of the PCT, it is even more important that we all work together as a community to protect sensitive places along the trail and be considerate of fellow PCT travelers.